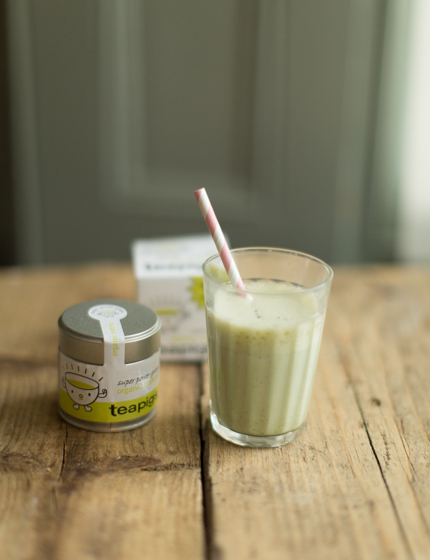 I love matcha green tea – its earthy flavour is perfect paired with creamy milk or in sweet cakes. When I was in Japan five years ago, I had lots and lots of matcha flavoured food and drinks – the Japanese really go crazy for their matcha. Unlike regular tea, matcha comes in the shape of ground powder. You simply dissolve it in water or milk (or cake batter), and it instantly releases its heavenly flavour. I didn’t know that matcha green tea was also super healthy, it’s full of antioxidants, minerals and vitamins – so it doesn’t only taste great, it’s also good for you! Fab! 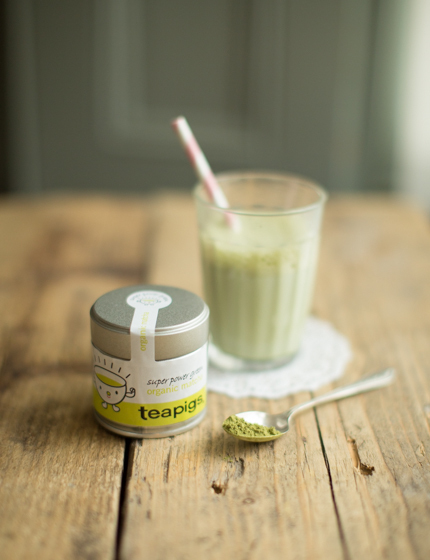 I always used to buy matcha at London’s Japan Centre or in Chinatown – but now you can also get it in regular shops, as Teapigs have just launched their organic matcha. It comes in a small tin with a super cute “muscly teacup” on it. You should be able to find it in most supermarkets or online. Yum! Feeling inspired? Here’s my recipe for matcha raspberry cakes. 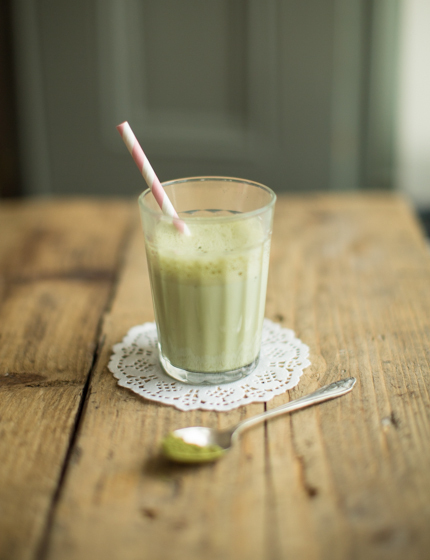 I love this matcha powder – I often add a teaspoon to banana smoothies for an extra boost! I have never tried yet Matcha, but have been wondering a lot as I see this tea every week in my grocery store… I didn’t know about all its benefits neither… I will certainly give it a go soon and I will have a look at your mini cakes. good questions! I don’t actually know, but I looked it up! Match contains caffeine, approximately 30mg of per 1g serving of matcha (less than coffee, a cup of coffee typically contains 70-75mg of caffeine). So, if you’re limiting your caffeine intake during pregnancy, I’d suggest not drinking too much matcha either. Nomnomnom, I love matcha, especially if mixed with vanilla Ice!! Btw – respect for everything you achieved, your blog is amazing, inspiring and sweet in every sense of the word! Merci Rotzi 🙂 D’Prabellien sinn nach emmer an der Stad, du schaffs et also vläicht nach se ze gesinn!